Taken from a Jan. 2 audio column recorded by prisonradio.org. Her voice, rippling like warm lake water, has been moving through my memory for hours now, ever since I heard of her shocking passing. How many hours had I enjoyed her playful, enchanting, enthralling alto, contralto, her soprano peaks? Countless. How many times had I stared at her photos, emblazoned on album covers, a beaming smile in a pecan-colored face, caught in a moment of sun-touched beauty, her eyes ablaze like a laughing lioness? Natalie Cole. “Unforgettable.” … Yes. But also, unbelievable. When she, the daughter of the dazzling dark crooner, Nat King Cole, was able to sing a duet with her long-dead father, a thing of magic and beauty was born. Daughter and father, joined across time: “Unforgettable.” It won her a Grammy in 2008, but, more importantly, it won the hearts of millions to hear the two united in song. “This Will Be” and “Our Love” were some of her biggest hits. Natalie Cole suffered for years from hepatitis C and its side effects. She even had a kidney transplant. Her remarkable voice will now, like her father’s, echo through time. 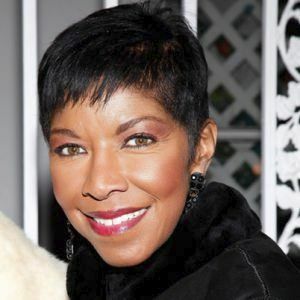 Natalie Cole, “Unforgettable Still,” joins the ancestors, after 65 winters in America.